Prosecutors filed a brief with the Richmond-based 4th U.S. Circuit Court of Appeals arguing that Maureen McDonnell received a fair trial and does not deserve to have her convictions vacated or get a new trial. 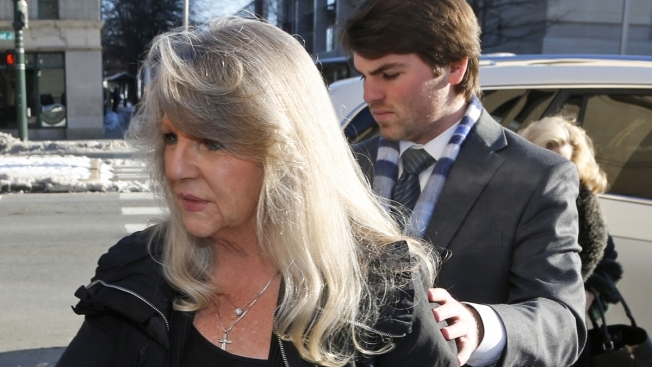 Former Virginia first lady Maureen McDonnell was a "full player'' in a bribery scheme with her husband and an appeals court should reject her request to overturn her corruption convictions just like it did for him, federal prosecutors said Wednesday. Prosecutors filed a brief with the Richmond-based 4th U.S. Circuit Court of Appeals arguing that McDonnell received a fair trial and does not deserve to have her convictions vacated or get a new trial. "Defendant's arguments depict her as an unwitting and hapless participant in the bribery scheme, but overwhelming evidence showed she was a full player in it,'' prosecutors said. Last year, a jury found McDonnell and former Gov. Bob McDonnell guilty of doing favors for a former nutritional supplements executive, Star Scientific CEO Jonnie Williams, in exchange for $165,000 in gifts and loans. Those gifts included a $20,000 New York shopping spree for luxury clothes for the former first lady. Both McDonnells have been sentenced to prison - the former governor for two years and the former first lady to one year and a day. They are both free on bond while they pursue appeals. A three-judge panel of the 4th Circuit upheld Bob McDonnell's convictions in July. In August, the full 15-member appeals court then rejected McDonnell's petition for a rehearing. The U.S. Supreme Court issued a brief late last month, saying the former governor does not have to go to prison while the high court considers whether to review his case. Maureen McDonnell's attorneys have argued that federal bribery law applies differently to her than it does to her husband because she was never a public official. Specifically, the former first lady's lawyers argue that it would be unfair to expect McDonnell, who they note only has a high school education, to know she was helping her husband violate federal bribery law by extending "routine political courtesies'' to Williams. Oral arguments for Maureen McDonnell's appeal are scheduled for Oct. 29.